Education was one of the founding faculties of the University. The Faculty offers courses in pre-service teacher education, postgraduate education and Teaching English to Speakers of Other Languages (TESOL). Both Faculty research and Teacher Education courses have a strong clinical focus. The Faculty is home to the STEM Education Research Centre (SERC), the Australian Institute for Sustainable Communities (AISC), Wiradjuri Early Learning Centre, the Inspire Centre for Innovation in Education, and the Australian National Museum of Education. The Faculty of Education is world-ranked and like the University, is rising rapidly in domestic and international rankings. It has a growing reputation as a leader in South East Asia and the Pacific due to the increasing scale and impact of its research. If you are a potential student then please consider studying with us. You will benefit from our strong research program and partnerships with here and overseas. You will also learn from highly capable, well qualified and academics. If you are suitably qualified and have a passion for learning and innovation please consider joining our Faculty. We have a talented, positive team of academic and professional staff and we are motivated to realize the fresh opportunities afforded by our innovative, domestic and international academic programs, partnerships and research programs. The Faculty has approximately 1200 full-time equivalent students. Of these, 55 are enrolled in doctoral programs. Approximately 100 students are enrolled in postgraduate education and TESOL courses that are offered in Canberra, Hangzhou (China) and from late 2018, in Hanoi (Vietnam). About 900 students are enrolled in initial Teacher Education (ITE) in Bachelor and MTeach programs. All of these courses have a significant, school-based, clinical component and opportunities to add an international dimension to their course through new majors and units in international education and practice teaching placements. Our (ITE) graduates pursue teaching and leadership careers in Australia and overseas in Early Learning Centres, Primary and Secondary Schools. Faculty research involves the study of learning and the practices and technologies that support and enhance learning in communities, organizations, museums, galleries, families, on playing fields and in schools. During the period 2014 – 2018, researchers in the Faculty have gained more than $21m in research grants including Category 1 Grants in community education in Pakistan, PNG, Indonesia and the Pacific as well as large ARC grants in STEM and Indigenous education. The SERC is internationally renowned and currently is engaged in multi-million dollar research contracts to enhance STEM learning in the early years. 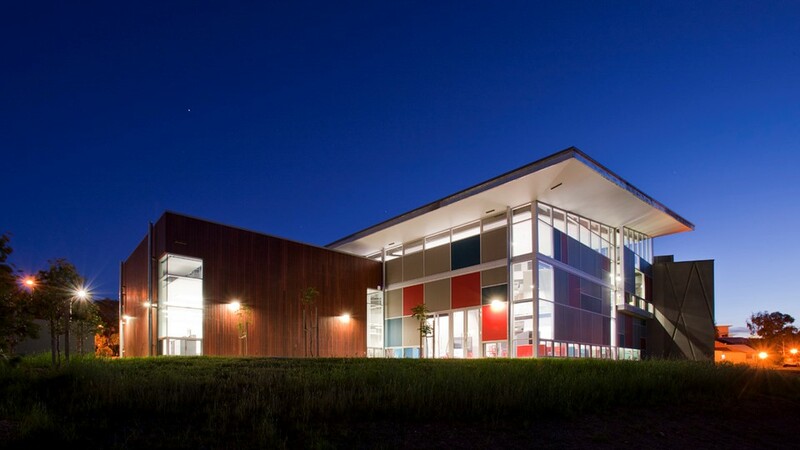 The Faculty works closely with schools in Canberra and the Capital Region. The University of Canberra Affiliated Schools program will launch in late 2018 and include approximately 25 local schools. These Affiliated Schools will be funded by the ACT Government and the University as sites for research, teacher professional development and the delivery of significant components of the teacher education program. The Affiliated Schools program has been by the outcomes of several years of pilot programs with UC Lake Ginninderra College, UC Kaleen High School and other schools in Canberra and a close study of emerging international best practice in University School partnerships. The development of this program is the first step in the realization of UC’s Education Precinct vision that is integral to its Distinctive by Design Strategic Plan. The Faculty of Education resides in Buildings 25, 6, 5 and 1 at the University of Canberra, Bruce, ACT.